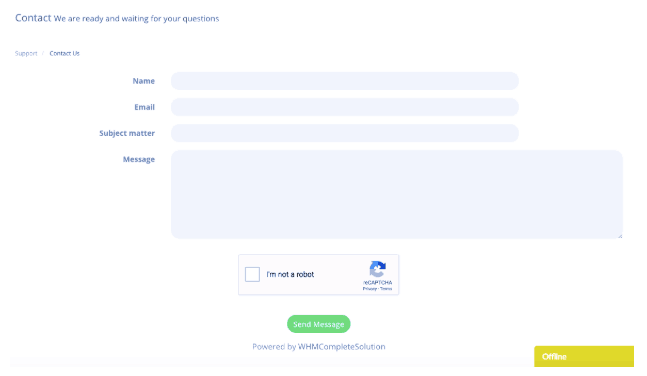 H1 Host Review 2019: Is H1 Host a Good Hosting? H1 Host is based in Brazil and sells a simple range of cloud based plans. This is a no frills provider, with a premium price, but there is support for Ruby on Rails and the team is made up with designers and developers. H1 Host is a Brazilian company with more than 12 years experience in hosting and website design. Owned and operated by a team of designers and developers, it has built websites for more than 200 customers in Brazil. The website is available in around 30 languages, via the use of a Google translate plugin. The plans come with Softaculous one click installer, although the exact number of programs is unspecified, all of the popular CMS programs such as WordPress, Drupal, and Joomla! are supported. There’s a guaranteed uptime of 99.9% (no SLA displayed on the website) and the control panel is reputable cPanel. Interestingly, the plans support Ruby on Rails and PHP, although it’s less clear what type of databases are supported (I tried to confirm with support, but did not hear back). One of the plans includes is an “Express Site” package, which I would call an all-in-solution. It comes with 1 GB disk space, unlimited traffic, a website with your basic company information, registration in Google Maps and a free .com.br or .com or .net domain name. Without viewing an example of the basic website, it’s hard to comment on the quality, however. As well as the fairly standard shared hosting plans, you can purchase website solutions such as an ecommerce website building tool, a live chat plugin, or a booking calendar. Alternatively, you a buy a block of monthly development or support for your cloud server. The plans are quite expensive, given the relatively low level of resources. That said, there is support for Ruby on Rails, which, depending on your needs, could be a decent value add for you. The Site Express plan has a significant monthly cost, close to a solution like Shopify. Unless you opt for the all-in-one package, you need to purchase a domain name and a SSL certificate on top of the monthly fee. The checkout flow was a little buggy when I visited, but I can tell you that the plans are payable in monthly terms, without a refund policy. Customer service is limited to an online contact form and live chat. It’s not clear what the business hours are, but live chat was offline when I was on the site at midday on a weekday. Instead, I sent an email and waited a few days for a response, which did not come. If you’re an existing client, you can login to a “client area”, which may have some help documents, I don’t know for sure, but I can say, there are none on the main website. H1 Host is a Brazilian-based host selling a simple selection of plans with cPanel. It’s certainly not going to be feature-packed enough for everyone, but if you want Ruby on Rails and a team which is made up of developers, it could be a good option to check out. Wondering how H1 Host stacks up against other Web Hosting companies? Enter any other Web Hosting company and we will give you a side-by-side comparison.